Any deviants, wrong'uns, or even career criminals in your family tree? 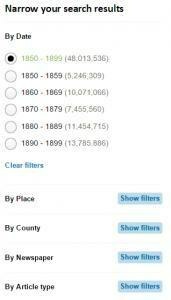 This helpful guide shows you how you can use historic newspapers read about their exploits in even more detail than crime records allow. Our England & Wales, Crime, Prisons and Punishment records can reveal incredible levels of detail about your criminal ancestors, including the exact nature of the crimes they committed, where and when they took place and the sentence they received. Many also include physical descriptions, petitions for clemency, reports on behaviour, health and education, and mug shots. A good proportion also record the details of any victims and government officials involved in the case. 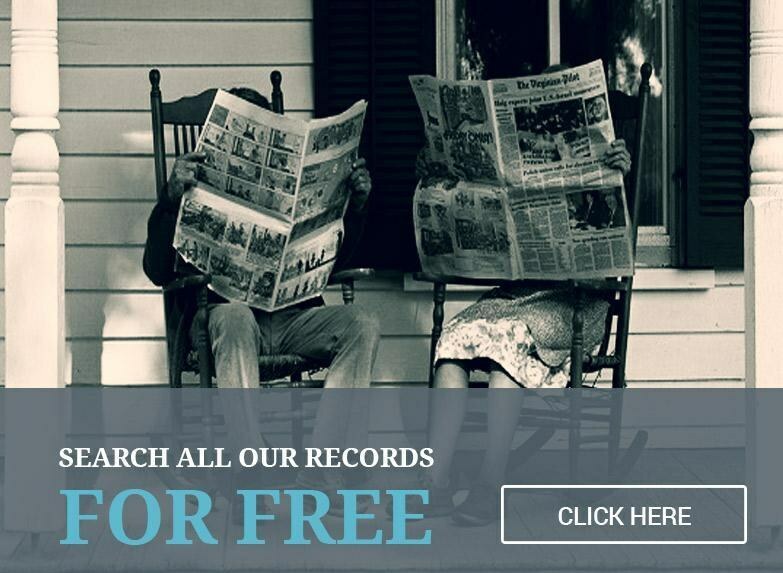 Although the records can be rich with information, even more detail can sometimes be revealed by searching our collection of historical newspapers. The extent to which the crime records can be supported by the newspapers is unique, because a significant proportion of crime was mentioned in local papers. This means that the chances of finding a newspaper report mentioning your ancestor's crime are relatively high, and those reports may reveal intricate details surrounding the case not included in the records. Clues can include court reports (in which your ancestor's behaviour and personality are described), reports on the case describing the evidence presented to the court, the court's subsequent finding, and even direct quotes from your ancestors. They can also reveal a whole host of valuable biographical details, and, depending on the severity of the crime, may even contain images or sketches relating to the case. Our exclusive collection of British newspapers was released in partnership with the British Library. They have one of the world's most comprehensive newspaper collections, containing nearly three centuries of newspapers from every corner of the United Kingdom. The collection currently contains over 130 million fully searchable articles from local, regional and national newspaper titles from around England, Scotland and Wales. You can search by name, keywords and date. It's usually best to start off with a broad search, using either a name or keyword. You can then begin to gradually include additional information (such as the location of the crime, the nature of the offence, or the court in which the case was heard) to narrow your results. Use the filters on the left-hand side of the results page to narrow them down by date, place or newspaper title. You could also select a specific newspaper to browse. View the list of newspaper titles, choose the one you're interested in, then drill down using the filters on the left until you've got to the edition you're looking for. The filters on the left of the screen (see below) will further refine and narrow your results by newspaper title, publication date, or region. The case of 22-year-old medical student, Horace Wright, is a great example of the remarkable levels of detail that can be uncovered in the newspaper archive. Horace appears in an 1869 Calendar Of Prisoners where he's listed as being tried at Oxfordshire Assizes for, 'unlawfully assaulting Frank Strange Copeland with intent to rob him'. This appears to be a fairly unremarkable charge at first glance, but after searching for Horace in newspapers, more information surfaces. Searching for Horace by name brings up over 4,000 results. 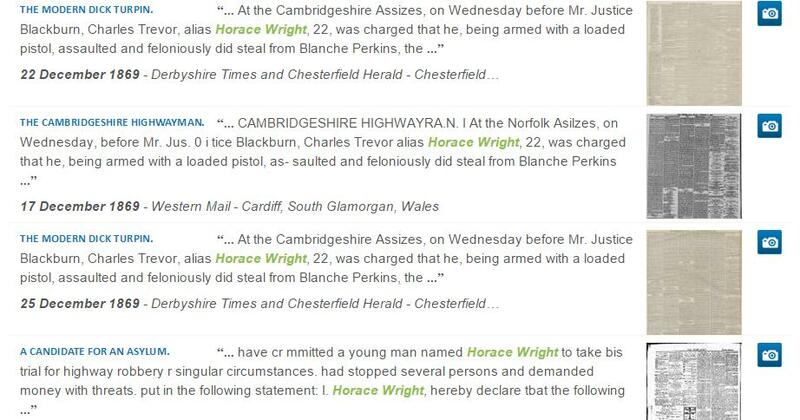 These can be narrowed down quickly since Horace's crime record reveals exactly when and where he was charged. Simply filtering the results to the exact year of the offence, 1869, greatly reduces the number of results to 145 articles. The results listed will include an extract of text in which the names or keywords included in the search appear. In this case, a brief glance at the filtered results indicates that the articles listed correspond with the details recorded in Horace's Calendar of Prisoners record. After all, they describe a 22-year-old man of the same name being tried at the Cambridgeshire Assizes in the same year. Please note that positive search results will not always be this easy to identify and you may need to thorough read through the original article to ensure that all names, dates, locations and facts match the record in question. Clicking the camera icon to the right of the results allows you to view a scanned image of the original article in full. In this example, the reports describe how Horace originally gave his name as Charles Trevor before further investigations uncovered his true identity. He was a wealthy medical student training under an eminent surgeon in Soho, the son of a respected Nottinghamshire doctor, and the nephew of the distinguished physician Dr Samuel Wright. They also tell how Horace had grown tired of his studies and was attracted to the glamour and romance surrounding the celebrated highwaymen of the 18th century. Determined to enact his fantasy, Horace purchased a black horse, an authentic highwayman kit complete with 'Napoleon boots, mask and hat', loaded two pistols with paper wadding and began holding up coaches in Cambridgeshire, Oxfordshire, and Berkshire. Numerous highly detailed reports describe how he'd wait at remote locations and ambush isolated travellers at gunpoint, shouting, 'Your money or your life'. A number also include first-hand accounts of the robberies presented to the court by his victims and a detailed description of how the 'gentleman highwayman' was eventually apprehended at a roadside inn. Horace's trial was widely publicised due to his upper middle-class background and the eccentric nature of his crime spree. Direct quotes from Horace himself can be found within the various articles, as Horace absolved himself of any responsibility by claiming that a serious addiction to highway robbery meant that his actions were out of his control. He also claimed to believe that highway robbery was his purpose in life and that he was likely to re-offend. Despite the serious nature of his crimes, Horace was only sentenced to one month's hard labour. You can even filter results to try and find images by going into the 'article type' options and checking the 'illustrated' option. After searching for illustrated articles using a number of different keywords (e.g. 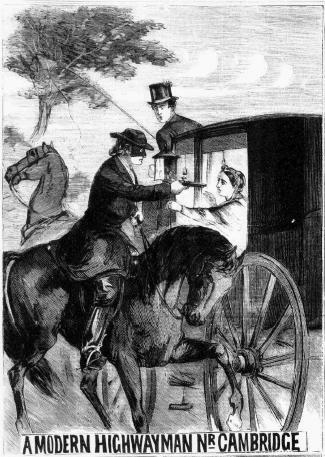 modern highwayman, medical student Cambridge), an Illustrated Police News page appeared in the results depicting the Modern Highwayman Holding up a coach (above). Now, even though Horace was clearly a wally, and maybe mentally ill, we're really annoyed our ancestors were such goodie-two-shoes!